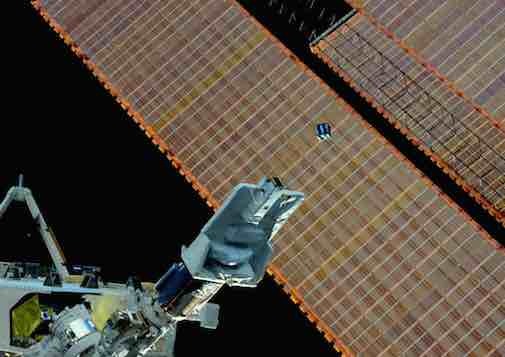 The AESP-14 satellite of Brazil was released from the Kibo module on board the International space Station. So listen on 437.600 FM 9k6 FSK and participate in the CRAM Amateur Radio Experiment. 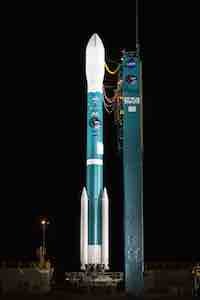 The Delta-2 with on board four cubsats: FIREBIRD II-A & B, GRIFEX, ExoCube is finally launched from SLC-2W Vandenberg. 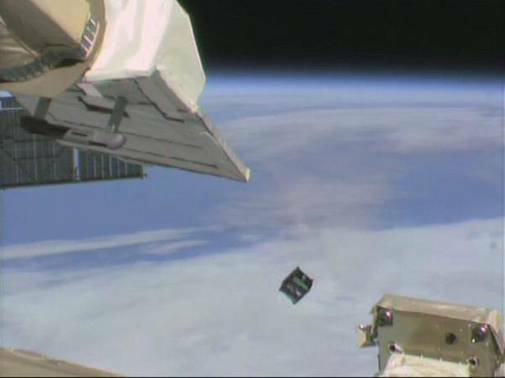 First Cubesat Developed in Brazil. PY2SDR has confirmed the deployment of AESP-14 from the International Space Station at 14:30 UTC on Thursday, February 5. 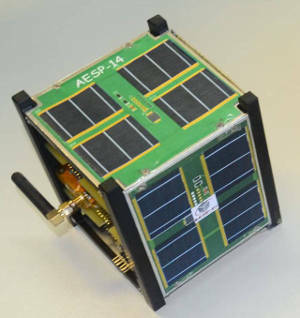 The AESP-14 team would like to ask the help of the AMSAT community to forward any received telemetry frames back to the team. For this, please save the AX.25 frames in KISS format and forward the file to aesp14 (at) ita.br. Telemetry format can be found at this location: AESP14-Telemetry Format. After launch we can use the TLE data from ISS. New Delta-2 Cubsat ppod launch sequence. Based on todays schedule and the fact the launch is delayed for 24 hours, then the below schedule should be the correct sequence for tomorrow 01/30/15 14:20:42 UTC. Latest news on the SMAP launch: Spaceflight101. Below the Cubsat deploy and activation details for Exocube (CP10), Firebird-2 and Grifex. 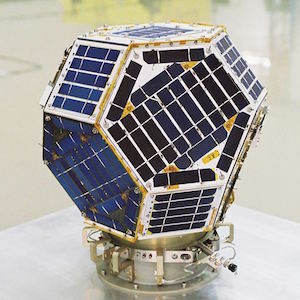 CubeSat launch scheduled for Jan 29, 2015 14:20 UTC from Vandenberg Air Force Base Space Launch Complex with a Delta-2 rocket. Update: Shin-en2 and ARTSAT2-DESPATCH has been postponed again. JAXA announcing; Launch date Shin-en2 and ARTSAT2-DESPATCH has been postponed again in December 3 04:22:04 UTC. Soon, there will be a press release. The new launch day and time will be announced as soon as it is determined after carefully examining the weather conditions.